For the second time this year, Croton Falls firefighters responded to Kingsley's Deli for a reported structure fire. 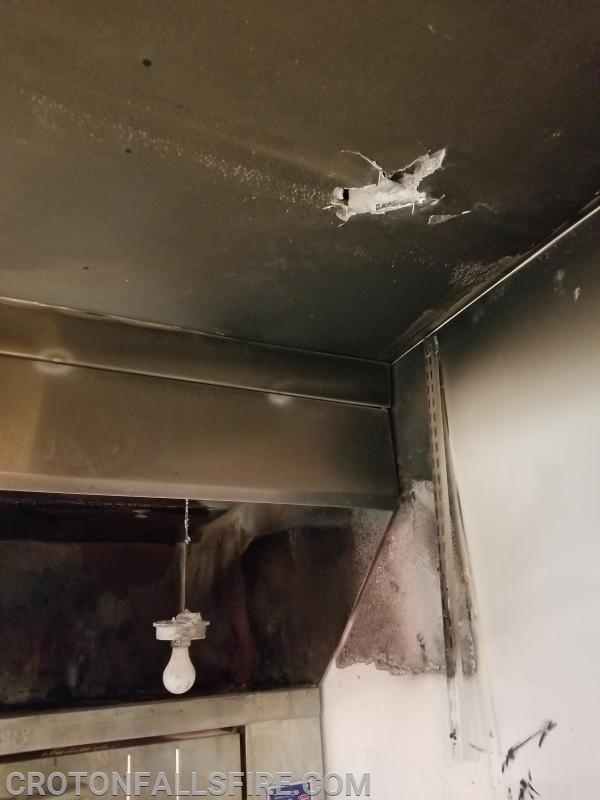 The outcome of Saturday night's fire was different than the fire in February, however, as damage was limited and Kingsley's should be open soon. 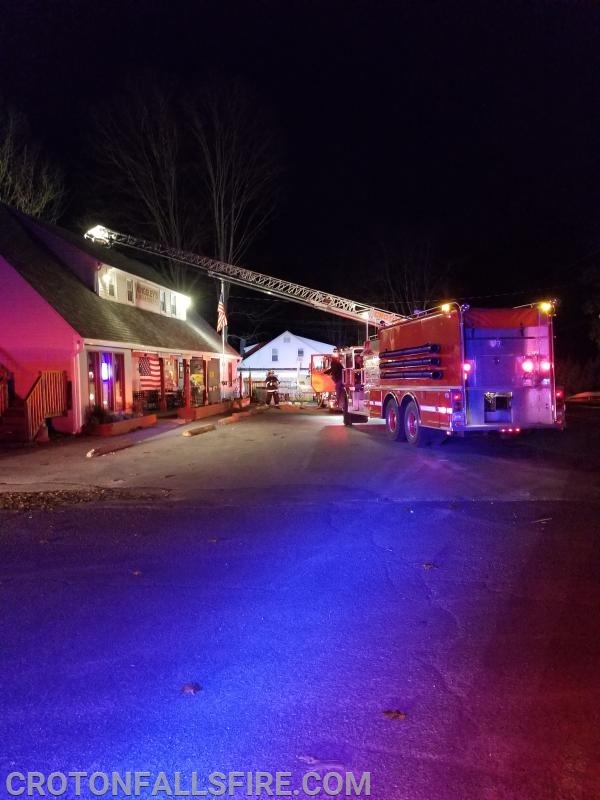 Firefighters were dispatched to Kingsley's Deli at 10:25 p.m. on Saturday, November 10th for a reported structure fire that was called in by residents of the upstairs apartment. Upon their arrival, firefighters saw flames and smoke in the kitchen area of the deli on the first floor. After forcing open the front door, firefighters used a dry-chemical extinguisher to knock down the fire. Additional firefighters searched the building for occupants to ensure their safety, confirmed the fire hadn't extended into the walls or ceiling and vented smoke and toxic gases. 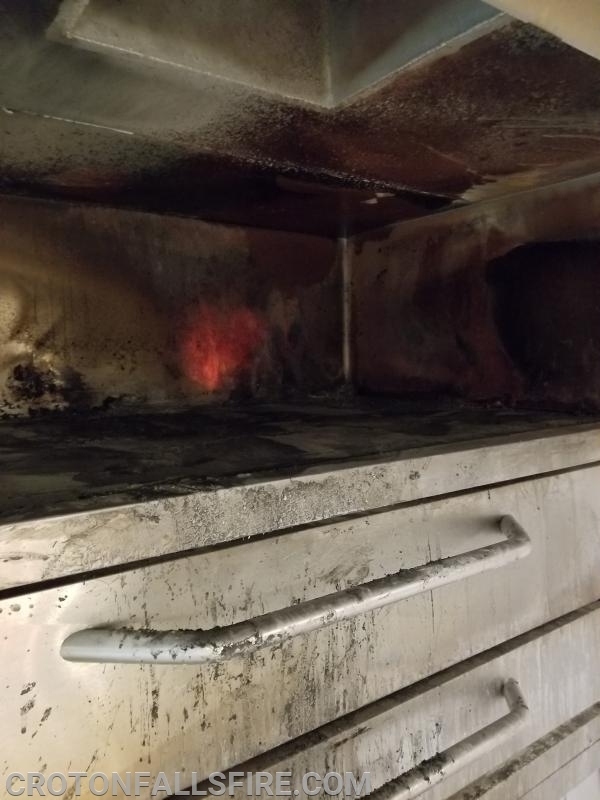 It was determined combustible materials left on top of the pizza oven were the cause of the fire. Heat and smoke damage extended from the oven, but did not get into the ceiling as shown by the inspection hole. The area of the fire after it was extinguished and cleared of debris. Apparatus in front of the building supported interior operations.